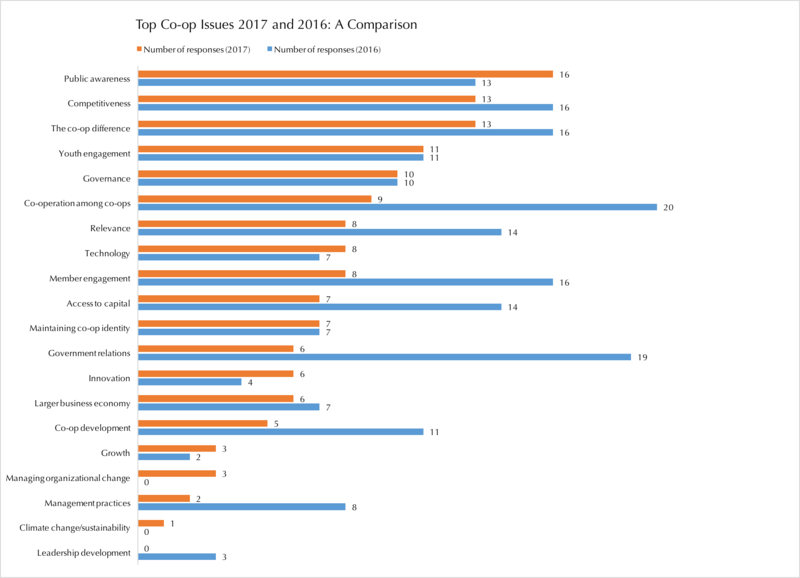 As noted in the first post on this topic, Top Co-op Issues 2017 surveyed CEOs, board members, managers, and academics across Canada to obtain a snapshot of the most pressing concerns facing co-operative organizations today. This entry will discuss some of the many action items suggested by respondents. Although they provided clear advice on all twenty themes, the focus in this post is on the actions associated with the top six.